This charming seaside town is a great summer and fall destination for private pilots. 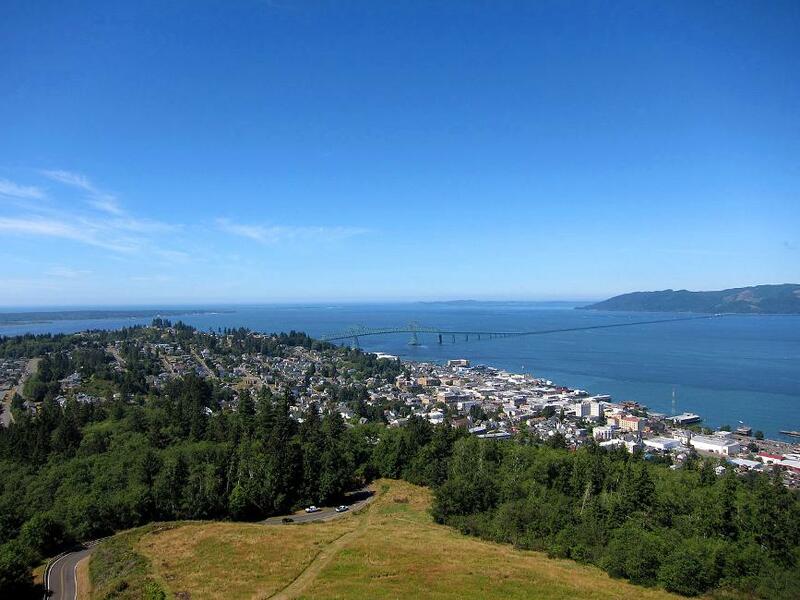 Private pilots can fly out to visit Astoria Oregon and enjoy a variety of great summer-fall activities. 95 miles northwest of Portland, the Northwest’s biggest river, the Columbia, meets the massive Pacific Ocean. When you imagine the millions of salmon that historically swam up this river (some of them destined to travel over 900 miles east and over a mile high to spawn in tiny Idaho creeks), you realize it was inevitable that a fishing town would spring up here. Nowadays, the canneries have given way to kayak and gift shops, restaurants, and a gorgeous waterfront hotel. These pleasures are best enjoyed summer through fall. Founded over 200 years ago, Astoria has seen boom and bust and is loaded with character—and characters. 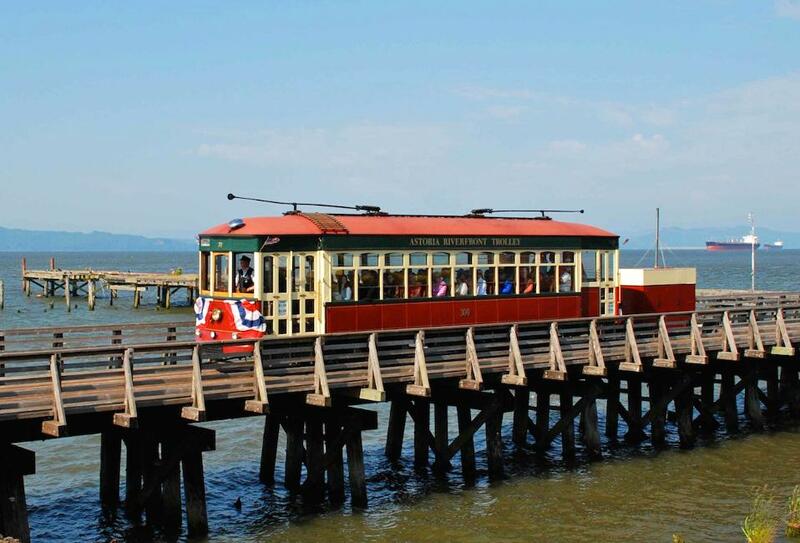 This old town’s Victorian mansions, hip restaurants, and a long wharf have lent it the nickname “Little San Francisco.” Fly into Astoria Regional Airport, just minutes from town, and experience it for yourself. Astoria Regional Airport (AST) is in the northwestern corner of Oregon, just south of the Columbia River, which forms the border between Oregon and Washington. Astoria is a short hop from either Portland or Seattle. From the southeast, a heading of 274° from the Battle Ground VORTAC (116.6 MHz) will take you directly to AST. South of Portland, contact Portland Approach on 118.1 MHz; north of Portland, contact Portland Approach on 124.35 MHz. Don’t enter the Portland Class C airspace unless you’ve established two-way radio contact with ATC. Approaches from the Seattle area are straightforward as well, as long as you remain clear of the MOAs and Restricted Areas just east of Olympia Regional (OLM). Approach and Departure services are provided by Seattle Center at 124.2 MHz. 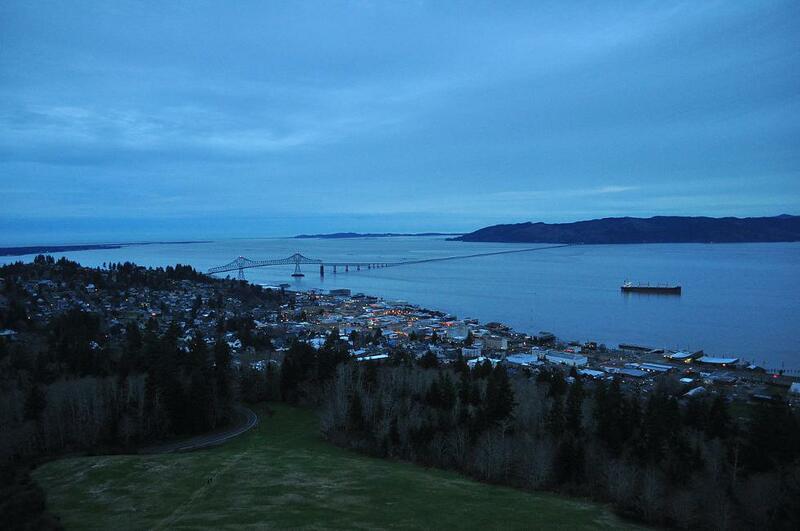 View of Astoria from the Astoria Column. Photo by: ASelfCalledNowhere, CC3. In December 1805, the Lewis & Clark Expedition landed near present-day Astoria and built a small fort to the south, along the Lewis and Clark River (then called the Netul River). Fort Clatsop, as they called it after the local people, would be their shelter for the winter. But incessant rain poured nearly nonstop misery on the group, and they were happy to leave the following spring. 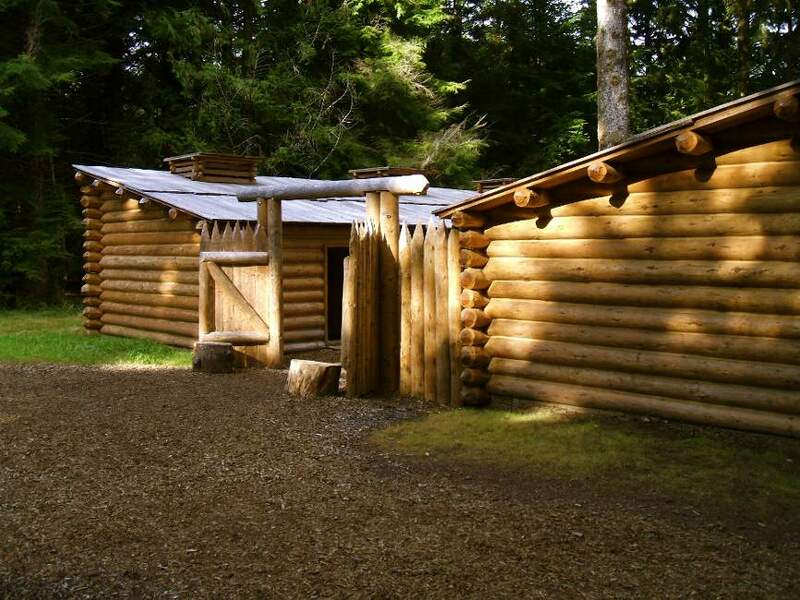 Fort Clatsop Replica, Photo by Glenn Scofield WIlliams, CC2. Just five years later and with encouragement from Thomas Jefferson, wealthy fur merchant John Jacob Astor financed overland and overseas expeditions to build a fur-trading settlement on the Pacific Coast. Over a three-year period, separate groups of mixed Americans, French, and Scottish Canadians set out for the coast. The idea, audacious for its time, was to create an outpost from which to circumnavigate between China, Europe, and the eastern U.S., to take advantage of the rage for otter pelts. For both the land and sea expeditions, every hardship from weather to Indians to disease seemed to target the men, and about half died. Fort Astoria was built in 1811 at the mouth of the Columbia River and later helped establish American claims during the Oregon boundary dispute with European countries, but the grand master plans never came to fruition. In the early 1830s, Astor invited prominent author Washington Irving to stay with him and write a novel about the Pacific Fur Company. Astoria, published in 1835, was widely read and implanted the area’s importance in the minds of many Americans. In 1847, Astoria received the first U.S. Post Office west of the Rockies. Immigrants, particularly from Finland and China, flocked to Astoria in the late 1800s. The Finns, mostly fishermen, and the Chinese, who mostly worked in the canneries, altered the area’s history soon thereafter. Around 1876, disputes about fish prices began between fishermen and wealthy cannery owners, and the fishermen went on strike. In 1880 the fishermen formed the Columbia River Fishermen’s Protective Union. During another strike in 1896, two fishermen were shot and more violence seemed ready to break out. The Oregon National Guard was called in to break the strike. After this, about 200 mostly Finnish fishermen pooled their cash and formed the Union Fisherman’s Cooperative Packing Company. Soon, it was Astoria’s largest canning company, and remained a fishermen-owned business into the 1940s. The Astoria-Megler Bridge. Photo by: Brian Halvorsen, CC2. Two centuries of seafaring have taken their toll. Many have discovered that weather, waves, and tides could turn the Columbia River into a raging witch within minutes. Over 2,000 ships have met their end in the waters around Astoria, as well as over 700 people. Dense fog, 40-foot waves, and a shifting sandbar at the river’s mouth, the Columbia Bar, all have exacted the ultimate price for some unlucky sailors. Nowadays, however, tourism and art are the major economic drivers in this charming seaside town. The Old 300 Trolley. Photo by: Steve Morgan, CC3. 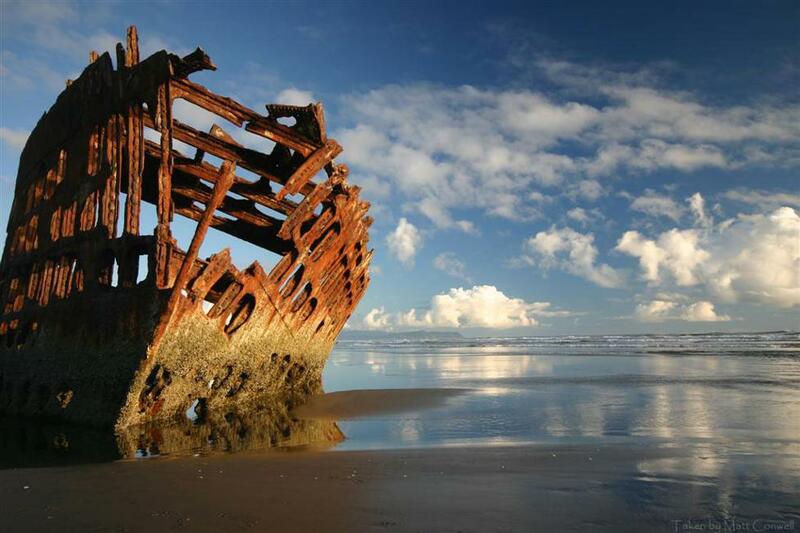 At Fort Stevens State Park, you can see the wreck of the Peter Iredale, resting in the sand where it was abandoned. It’s a great spot to practice your photography techniques. The Fort was a primary military defense installation from the Civil War to the end of World War II. Check out the fort, go beachcombing, hiking, or swim in the lake. You can camp here year round. Campsites range from $21 for a tent, to $29-32 for an RV. Yurts and cabins are also available, and range from $45-99, including some that accept pets. Fort Stevens State Park Website, Full list of Rates. The wreck of the Peter Iredale. Photo by: Matt Conwell, CC3. 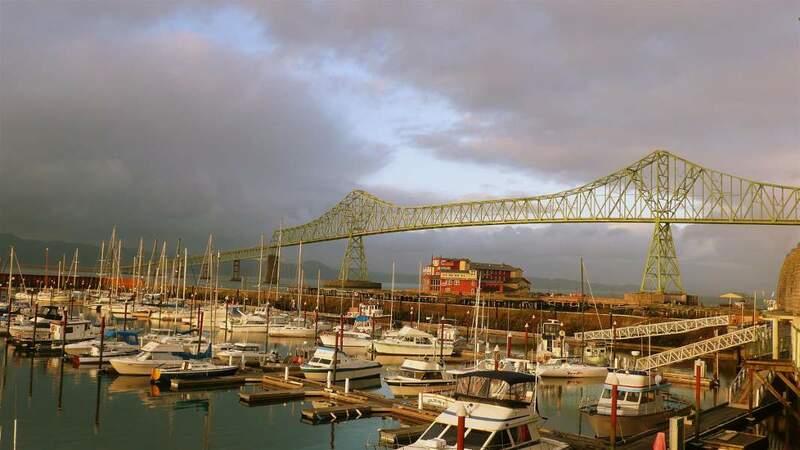 Stroll down the Astoria Riverwalk, a pedestrian path along the wharves, to the Columbia River Maritime Museum, the first museum in Oregon to meet national accreditation standards. Its collection includes the lightship Columbia, the bridge of the WWII-era destroyer USS Knapp, a third-order Fresnel lens, and several Coast Guard and gillnet vessels. The Columbia River Maritime Museum. Photo by: Steve Morgan, CC3. 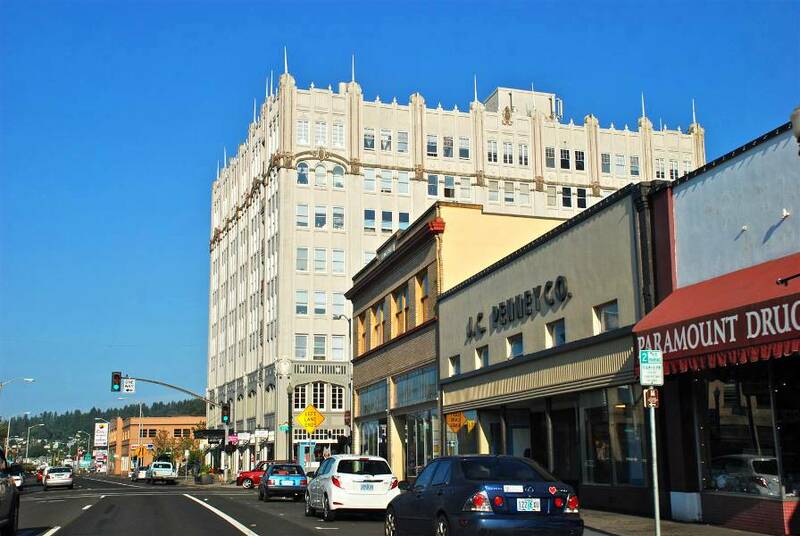 Downtown Astoria has more history; the Clatsop County Historical Society’s Heritage Museum is home to over 32,000 artifacts, including vintage canning labels and a full-size reconstruction of the Louvre saloon, where 18th-century men spent substantial portions of their hard-earned cash. Check out the roulette wheel, card tables, and old menus. Open 10 a.m. to 5 p.m. daily (Last Entry at 4:30) May thru September; Open 11a.m. to 4 p.m. daily, October thru April; Admission is Adult $6.00, AAA/Senior/Student $5.00, Youth (6-17 years) $2.00, Children Under Six No Charge. 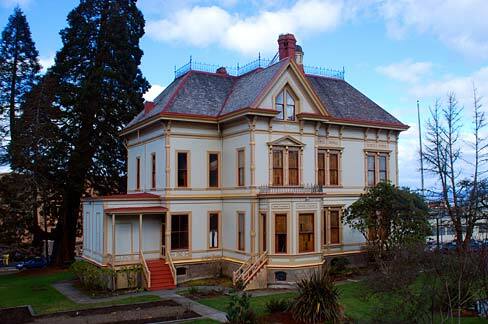 The Flavel House Museum. Photo by: Gary Halvorson, Oregon State Archives. 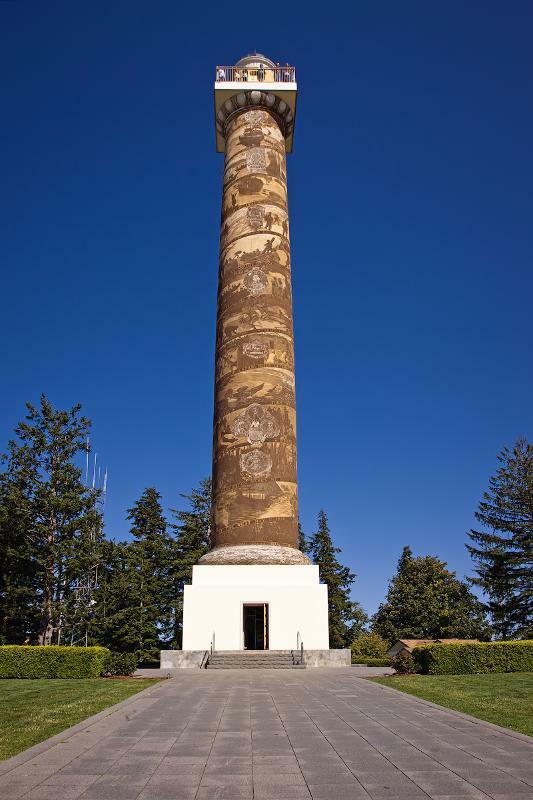 The Astoria Column. Photo by: Steve Pavlov, CC3. 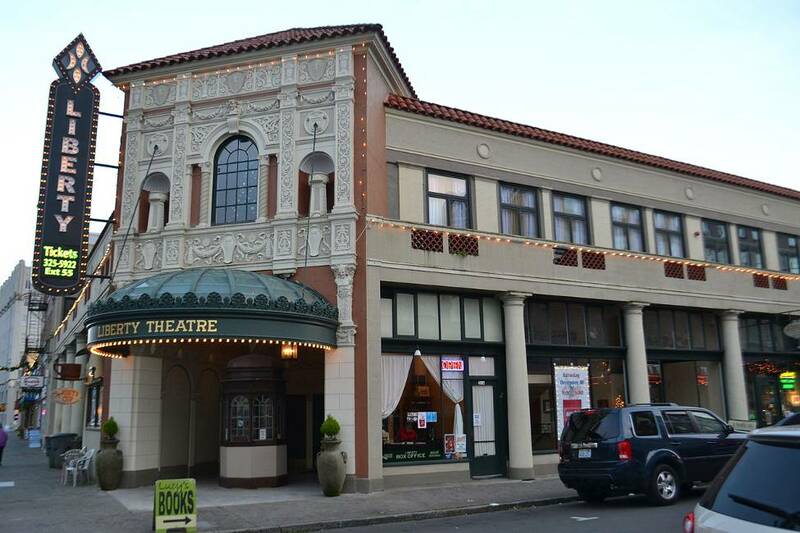 The Liberty Theater. Photo by: Visitor7, CC3. Ever wonder how, where, or why cable TV was invented? The first TV station in the Northwest was inaugurated in 1948, in Seattle. However, being 125 miles away, the signal was unavailable in Astoria. L.E. “Ed” Parsons, who lived across the street from the eight-story Astoria Hotel, the area’s tallest structure, requested permission to put an antenna on the hotel’s roof. He then ran a coaxial cable from the antenna into to his apartment. It worked, and as of Thanksgiving Day that year, Parsons and his wife were the only people in Astoria able to view television. Soon the Parsons were nearly overrun by folks who wanted to see the television, so Ed ran another cable into the lobby of the hotel, where they set up a television. By the end of 1948, a nearby music store was the third hook-up, after which time Parsons began setting up cable service to local households. The Astoria Hotel was later named the John Jacob Astor Hotel, but it fell into disrepair. In 1979 the building was listed on the National Register for Historic Places, and in 1984 a plan was approved to allow a group of investors to renovate the structure and turn it into an apartment building, which it remains today. Constructed of reinforced concrete, the building features Gothic decorative elements. The two-story lobby features Corinthian columns. The lower two floors are reserved for commercial use and offer everything from herbal teas to antique and banned books to 8-track tapes, 342 14th St. Downtown Astoria with a view of the Hotel Astoria. Photo by Steve Morgan, CC3. 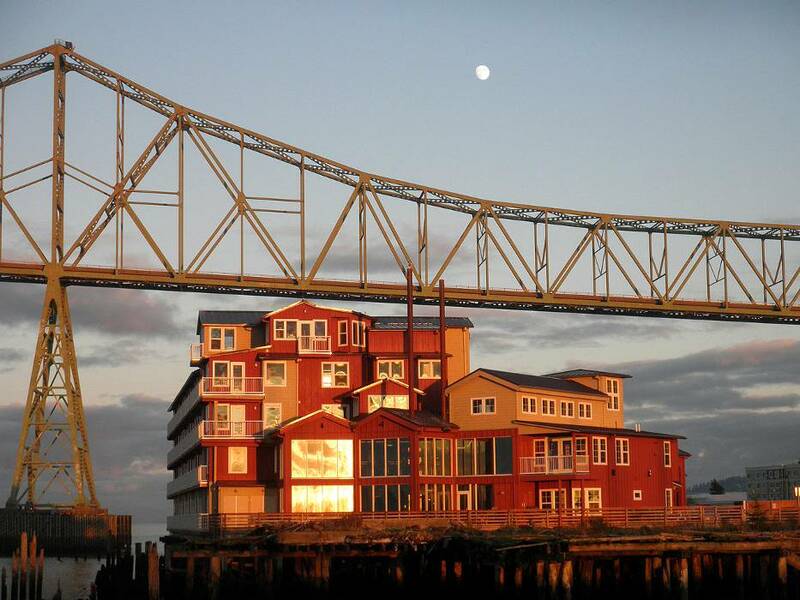 Stay at the The Cannery Pier Hotel and Spa when you visit Astoria Orgeon. Photo by: Chris Maguire, CC2. 200 years ago, Thomas Jefferson and John Jacobs Astor imagined this spot, at the mouth of the Columbia River, as a jumping-off spot to China, Europe, and endless riches. Nowadays, we can hop on an airliner and reach any corner of the globe. But Astoria is wonderfully rich just as it is: a lovely seaside, riverside community where new and old mix it up to provide the perfect summer getaway. View of Astoria from the Astoria Coumn. Photo by Joe Mabel, CC3.